AIE Pharmaceuticals is a full service contract manufacturer of herbal, vitamin, mineral, and dietary supplements. 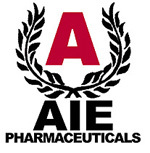 AIE offers a comprehensive package of nutritional and Nutraceuticals products and services. All products are manufactured under strict FDA guidelines, with top quality control and are tested by batch, or by lot, for potency. All ingredients are derived from natural sources; there are no artificial colors, no artificial flavors, no preservatives and no added fillers. A full complement of compression equipment allows AIE to respond quickly to your needs for short run and high volume production of single layer tablets. Each production stage is physically segregated under rigid humidity and air quality control. One of the most popular dosage mediums in the nutraceutical industries, its benefits includes solid compression and affordable prices. Our tableting facility is a fully enclosed, temperature, and humidity controlled facility. Our tableting department includes Four Fully Automated Tablet Presses, with the capability to produce 3.5 billion tablet pieces annually. Complete film and Color coating processes meet your requirements for marking, color, taste masking, and overall pharmaceutical elegance. We are also do Enteric Coating for tablets and softgel capsules. Enteric-coated: Coated with a material that permits transit through the stomach to the small intestine before the medication is released.